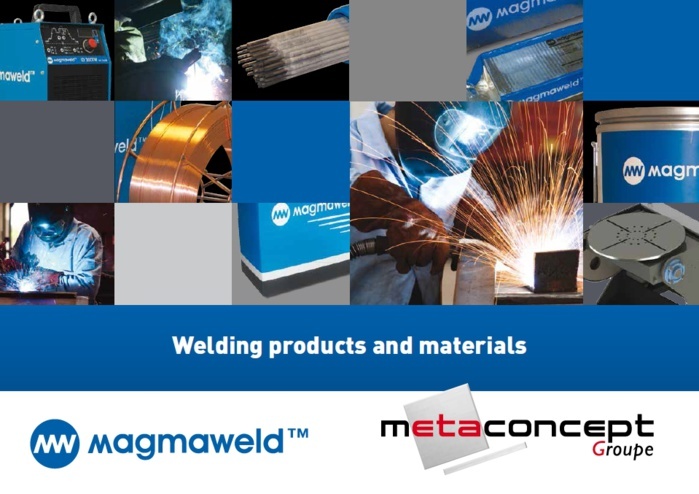 The METACONCEPT Group is now the exclusive distributor in France of MAGMAWELD™welding products and materials. Designed and manufactured by Oerlikon Kaynak (member of the EWA), MAGMAWELD™welding products and materials meet the demands of key manufacturing industries such as transportation, chemical, petrochemical, machinery, mechanical, food, agriculture, construction, cement and power generation equipment. All these products are manufactured in accordance with the strictest international directives and standards. The stations incorporate the latest PFC technology and comply with CE regulations.